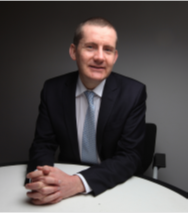 Nick Silver has 20 years capital markets experience within investment banking having worked in London, Paris, New York and for the past 10 years in Tokyo and Hong Kong where he currently resides. A strategic change agent and specialist in new market opportunities, organizational change, M&A, operations, technology and equity capital markets, he has worked for Credit Suisse, Lehman Brothers and Nomura Securities during his career. The focus of his achievements includes managing large project work streams in acquisition integration, prime brokerage, electronic trading and equity derivatives. Nick is currently working for Capco, a consulting firm dedicated to Financial Services Industry.